Swiss educational reformer, was born at Zürich on the 12th of January 1746. His father died when he was young, and he was brought up by his mother. At the university of Zürich he was associated with Lavater and the party of reform. His earliest years were spent in schemes for improving the condition of the people. The death of his friend Bluntschli turned him however from politics, and induced him to devote himself to education. He married at twenty-three and bought a piece of waste land at Neuhof in Aargau, where he attempted the cultivation of madder. Pestalozzi knew nothing of business, and the plan failed. Before this he had opened his farmhouse as a school; but in this time was The Evening Hours of a Hermit (1780), a series of aphorisms and reflections. This was followed by his masterpiece, Leonard and Gertrude (1781), an account of the gradual reformation, first of a household, and then of a whole village, by the efforts of a good and devoted woman. It was read with avidity in Germany, and the name of Pestalozzi was rescued from obscurity. The French invasion of Switzerland in 1798 brought into relief his truly heroic character. A number of children were left in Canton Unterwalden on the shores of the Lake of Lucerne, without parents, home, food or shelter. 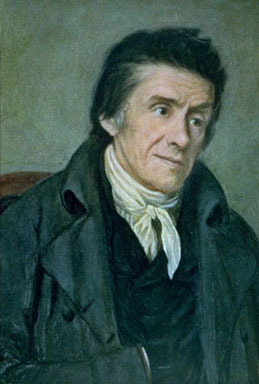 Pestalozzi collected a number of them into a deserted convent, and spent his energies in reclaiming them. During the winter he personally tended them with the utmost devotion, but in June 1799 the building was required by the French for a hospital, and his charges were dispersed. In 1801 Pestalozzi gave an exposition of his ideas on education in the book How Gertrude teaches her Children. His method is to proceed from the easier to the more difficult. To begin with observation, to pass from observation to consciousness, from consciousness to speech. Then come measuring, drawing, writing, numbers, and so reckoning. In 1799 he had been enabled to establish a school at Burgdorf, where he remained until 1804. In 1802, he went as deputy to Paris, and did his best to interest Napoleon in a scheme of national education; but the great conqueror said that he could not trouble himself about the alphabet. In 1805 he removed to Yverdun on the Lake of Neuchâtel, and for twenty years worked steadily at his task. He was visited by all who took interest in education -- Talleyrand, Capo d'Istria, and Mme. de Staël. He was praised by Wilhelm von Humboldt and by Fichte. His pupils included Ramsauer, Delbrück, Blochmann, Carl Ritter, Fröbel and Zeller. About 1815 dissensions broke out among the teachers of the school, and Pestalozzi's last ten years were chequered by weariness and sorrow. In 1825 he retired to Neuhof, the home of his youth; and after writing the adventures of his life, and his last work, the Swan's Song, he died at Brugg on the 17th of February 1827. As he said himself, the real work of his life did not lie in Burgdorf or in Yverdun. It lay in the principles of education which he practiced, the development of his observation, the training of the whole man, the sympathetic application of the teacher to the taught, of which he left an example in his six months' labors at Stanz. He had the deepest effect on all branches of education, and his influence is far from being exhausted. Pestalozzi's complete works were published at Stuttgart in 1819-26, and an edition by Seyffarth appeared at Berlin in 1881.